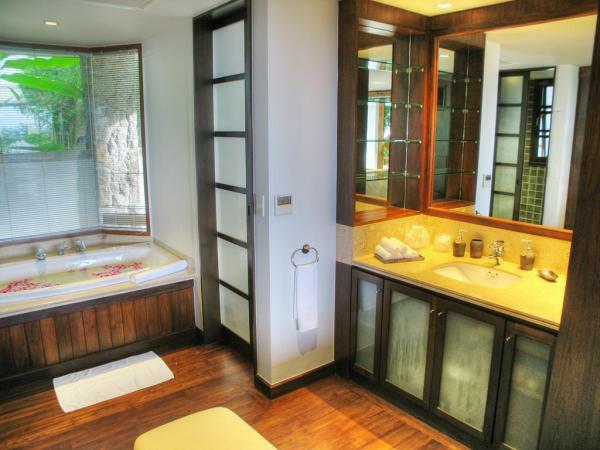 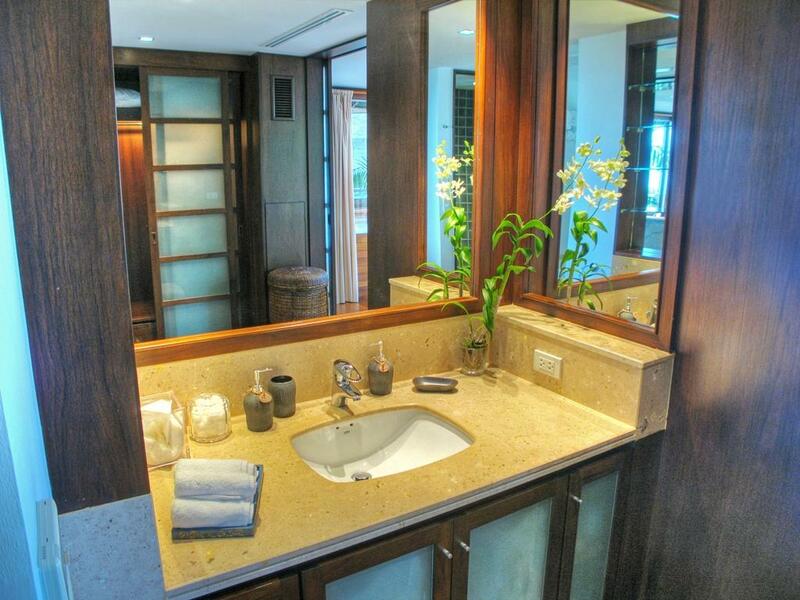 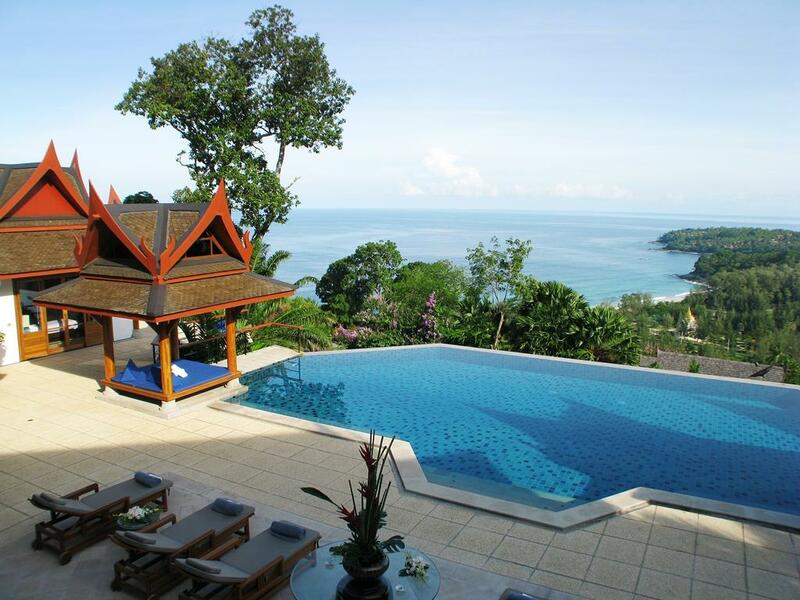 Luxury holiday home, nestled on a hilltop of Surin Beach with stunning view of the Andaman sea. 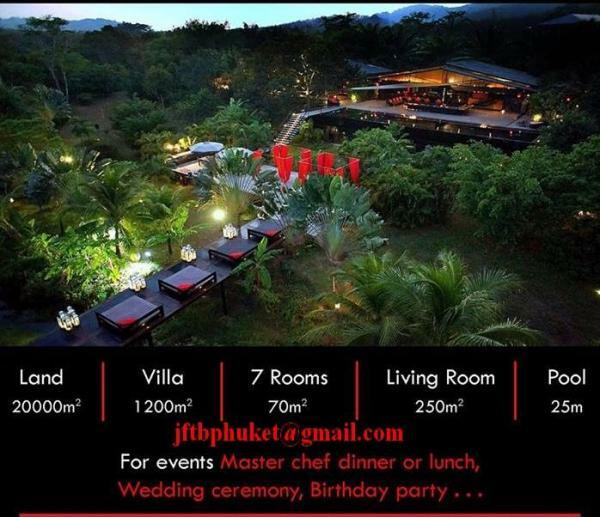 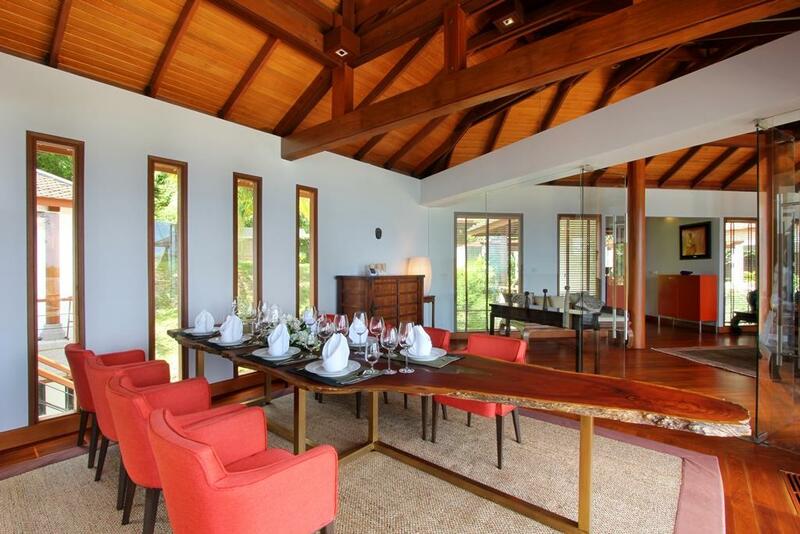 Just a short drive to golf courses, restaurants and shoppings, and less than 30 minutes to Phuket airport. 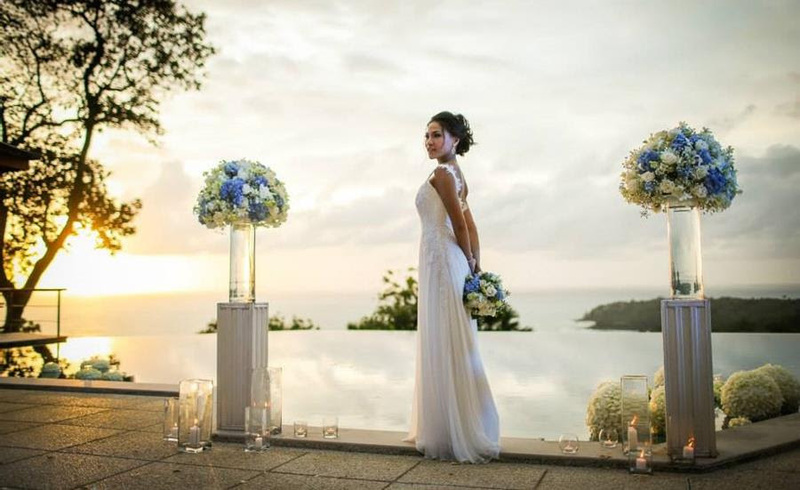 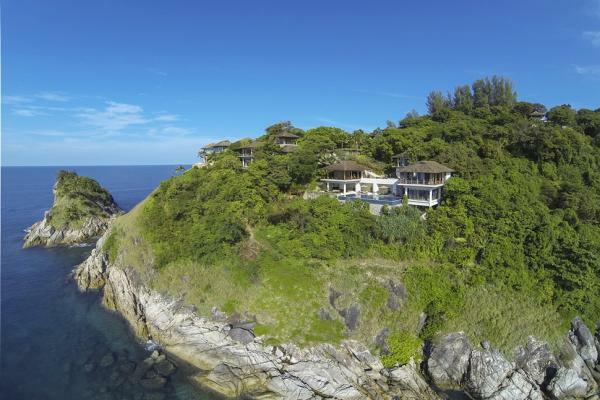 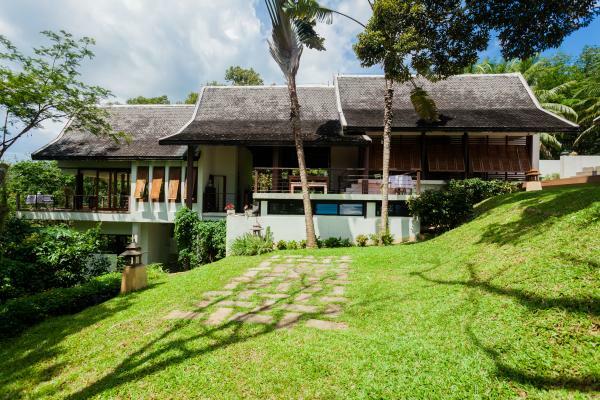 High above the bay, this Oriental Thai style architecture villa, is really very exclusive. 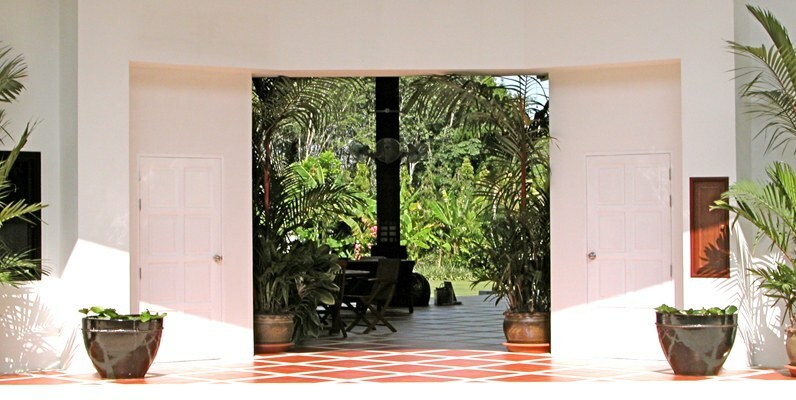 It has been maintained in a natural virgin state and the first word that comes to your mind when you discover this house is 'harmony'. 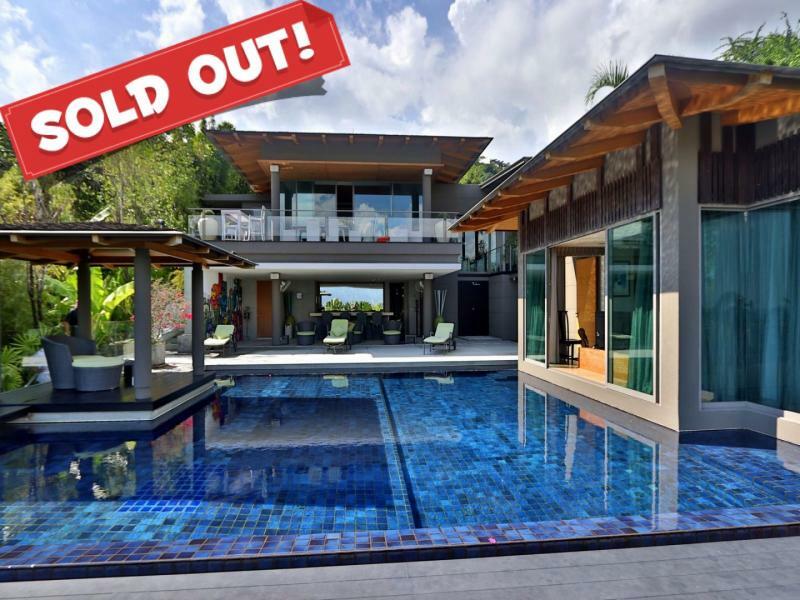 This luxury villa features an infinity edge pool, 6 bedrooms on 3 levels, 2 private salas, outdoor areas, home entertainment area, library, 4 car parking, gym, fully equipped kitchen, terrace, and staff quarters. 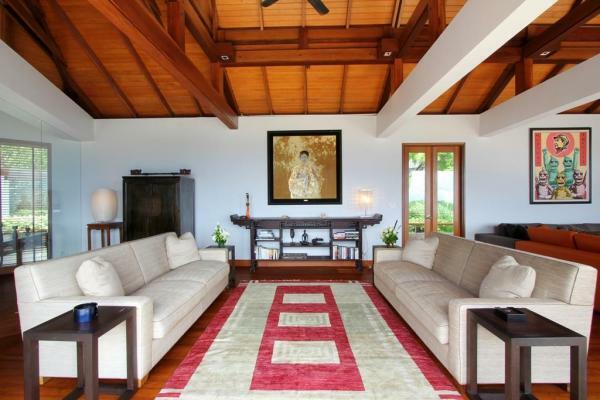 The mix of Asian and Western furnishings, and the generous dimensions of each living area will immediately put you at your ease. 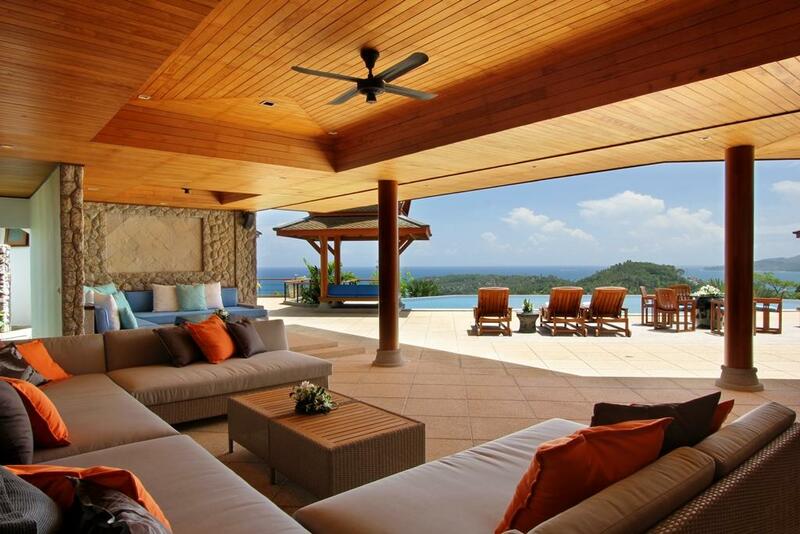 The entertainment and living areas are located on the upper level. With a western style kitchen, a broad dining room, and a bedroom with a spacious secluded balcony overlooking the Andaman Sea with sitting area, ensuite bathroom, and a separate toilet and shower. 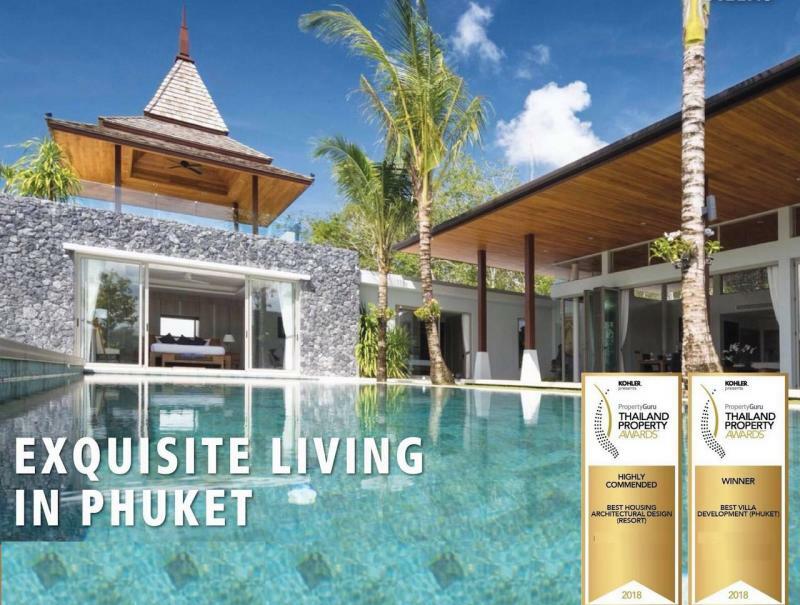 The Middle Level provides an infinity pool, 2 bedrooms (set at the opposite of the swimming pool), a bar, a lounge area and a large table suitable for outdoor dining. 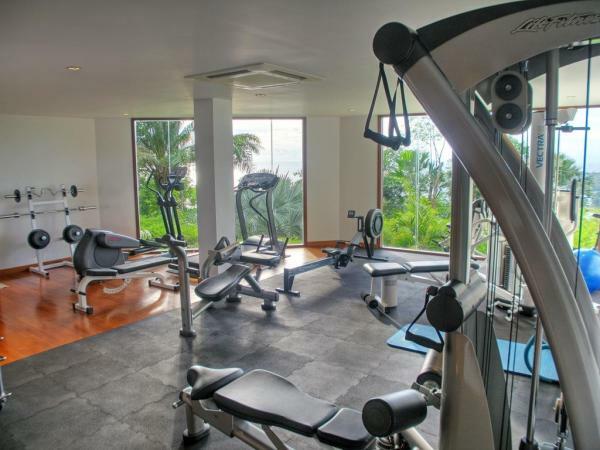 The Lower Level has the 2 main bedrooms and is highlighted by a professional gym with its own sound system. 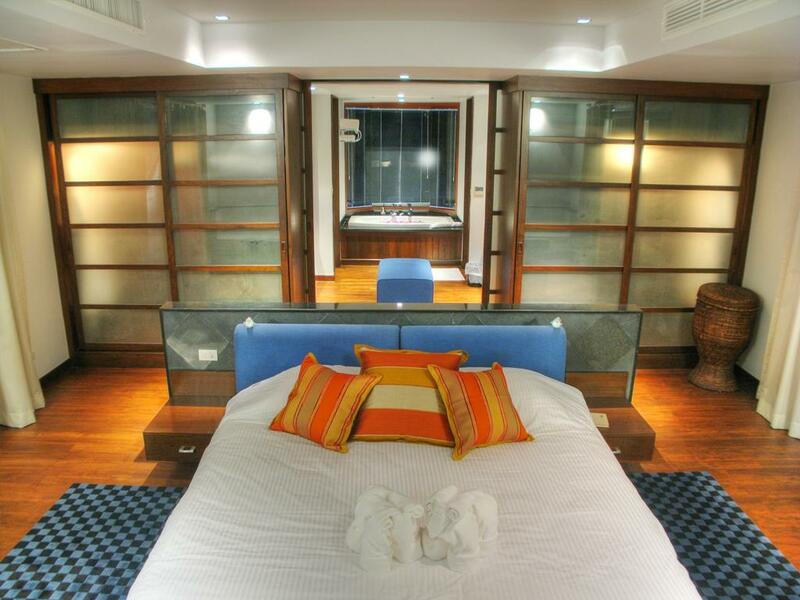 The property features Wifi, indoor and outdoor hifi sound systems, 52 inch plasma tv in the main living room, covered parking for 4 cars. Infinity edge swimming pool 16 m x 8 m, 2 private salas and extensive outdoor areas. 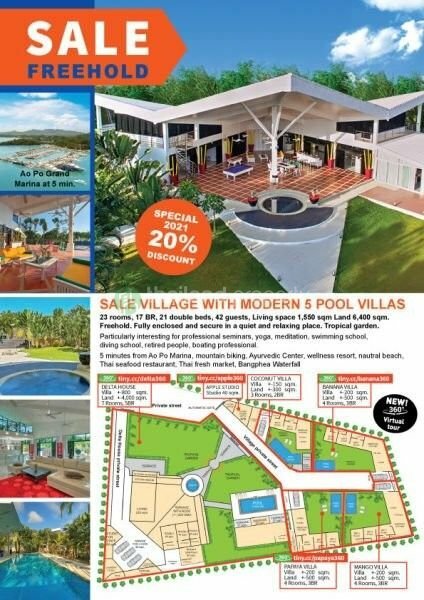 - Wi-Fi Internet access everywhere, Bose Sound System with Apple dock, Fully equipped gym, Home entertainment, Office area, Mini library, 4 car covered parking, Local Phone service, First aid kit.